You too can look as good as Steve Harvey does when you wear matching tie and hanky sets with your suits with the pocket square artfully folded and placed. 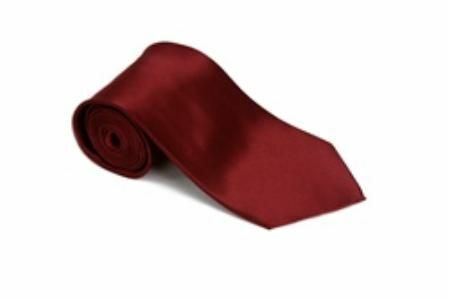 This burgundy color satin tie set comes with a medium width tie and matching fabric hanky ready to look fantastic when you wear it. This tie set looks great with a black suit, a blue suit and even a grey color suit so you will have many options to wear it.